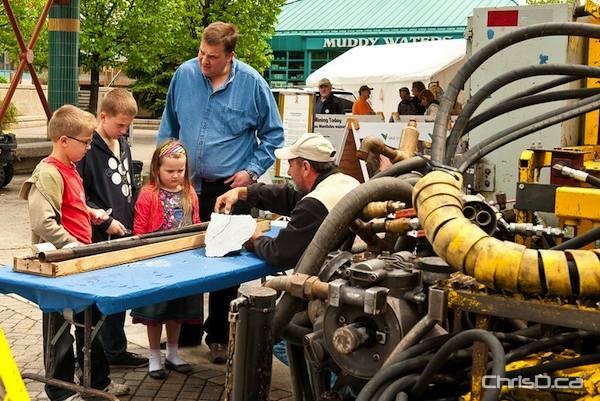 Provincial Mining Week wrapped up over the weekend with the “Manitoba Rocks” event at The Forks. Children of all ages came out to celebrate Manitoba’s second primary resource industry. About 15,000 people directly or indirectly work in the province’s mining industry, with ten working mines in the province producing 28% of nickel, 10% copper, 4% gold, 11% zinc and other minerals for the rest of Canada. In 2009, the combined value of mineral production for metals, industrial minerals and petroleum totalled over $1.9 billion. 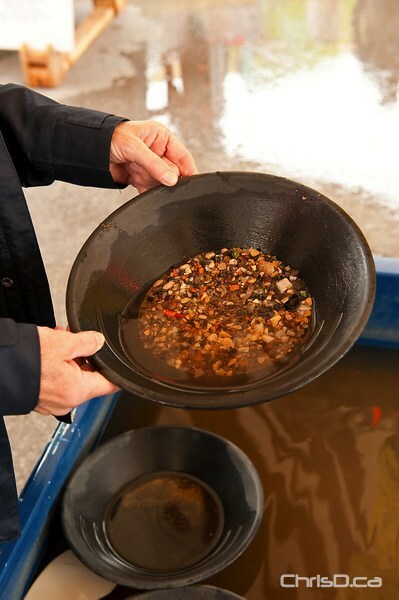 One of the biggest attractions was the ability to pan for gold. Experts were on hand to show participants the ropes.